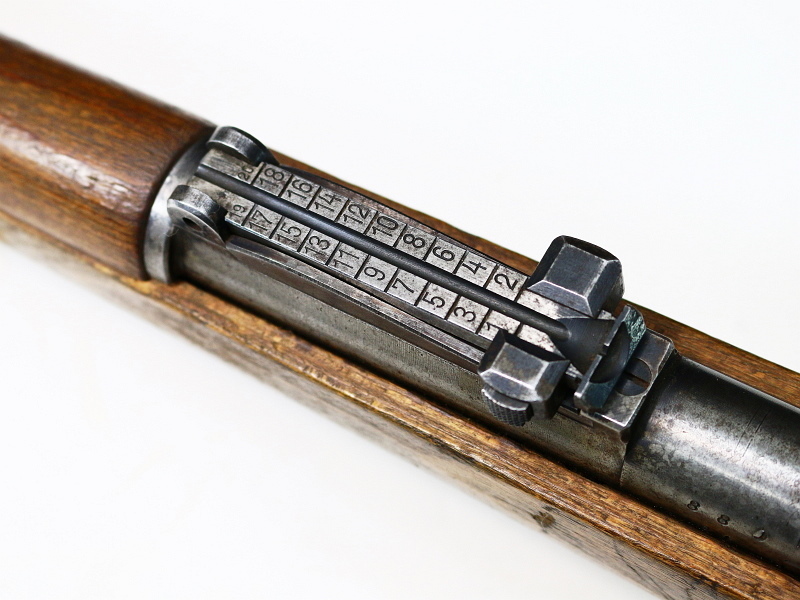 German K98 Mauser Rifle. 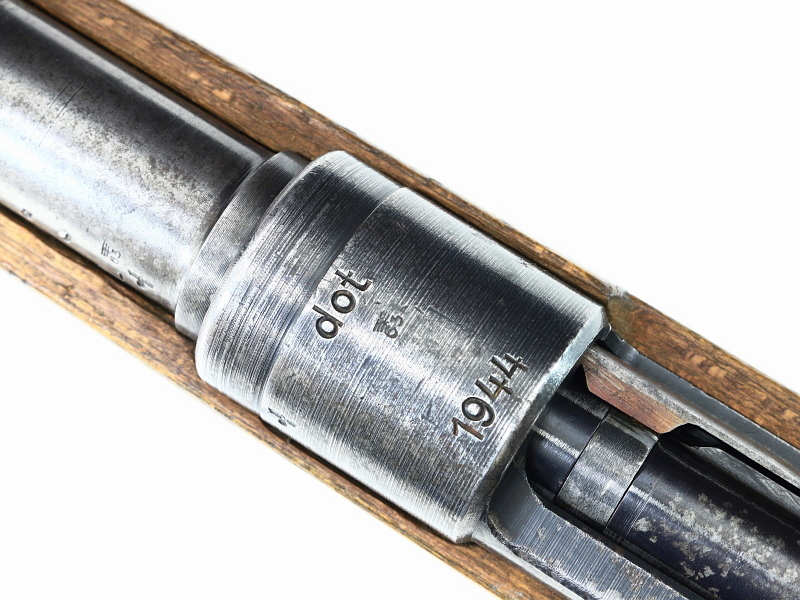 Maker marked dot 1944, during German occupation of Czechoslovakia at the Waffenfabrik Brunn arsenals. 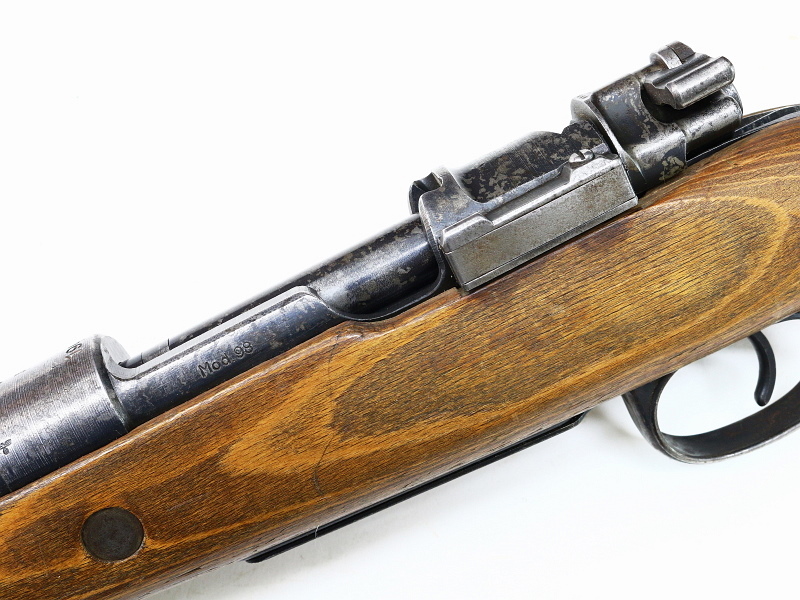 Good overall condition, has a military used look. 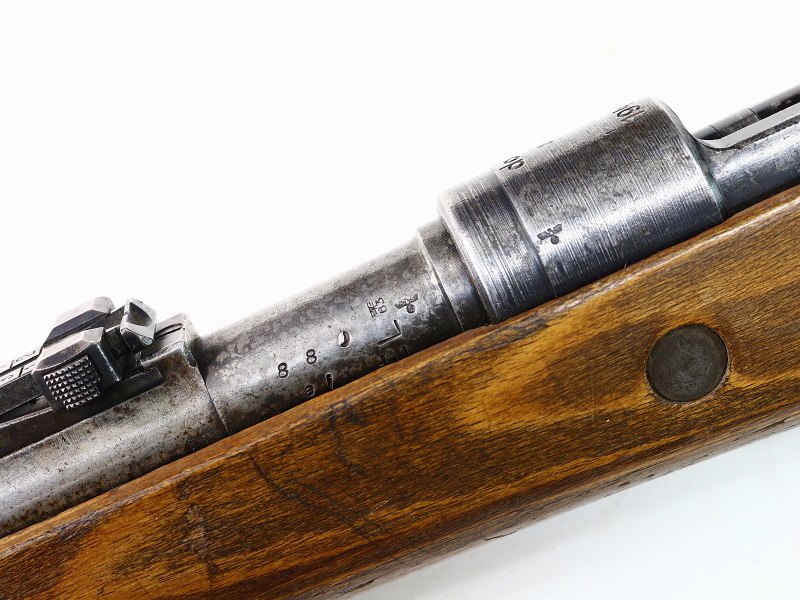 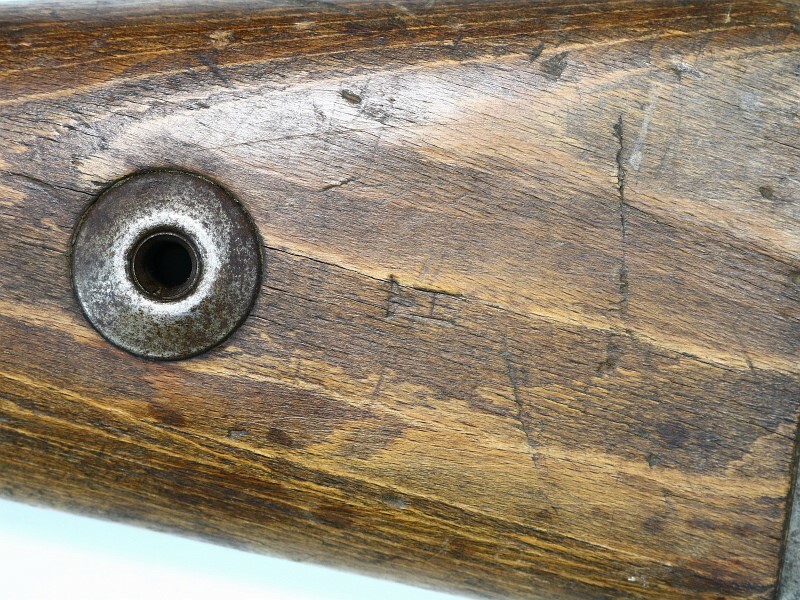 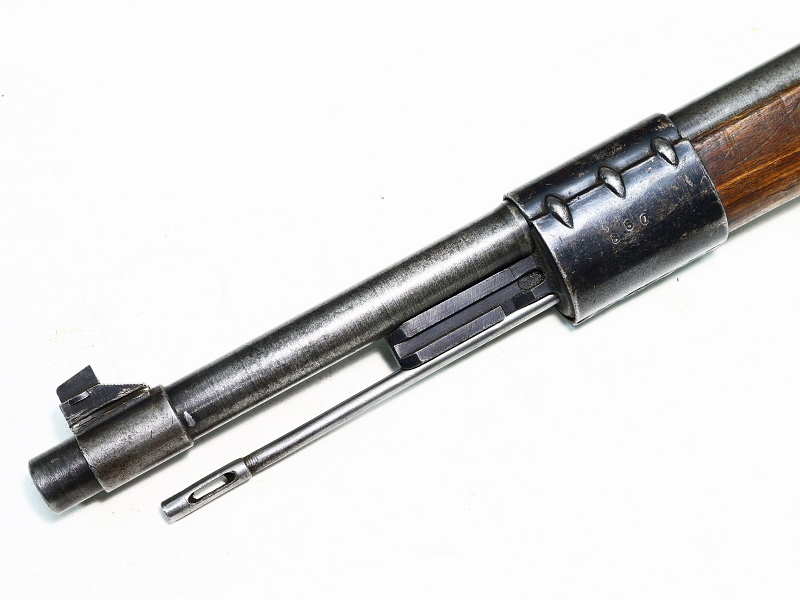 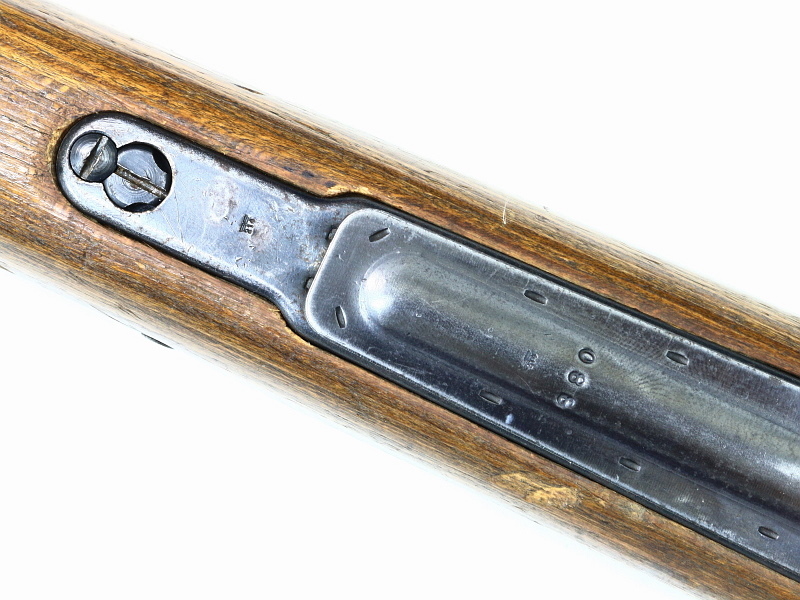 Original blued finish has worn to gray on the barrel with a splotchy appearance on the receiver metal, likely cleaned of rust at some time. 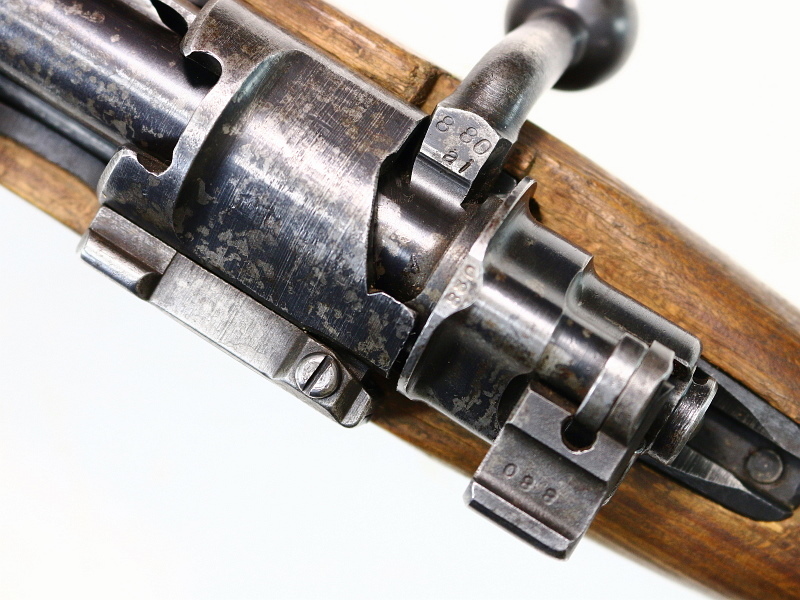 Bands are blued with wear as is the trigger guard. 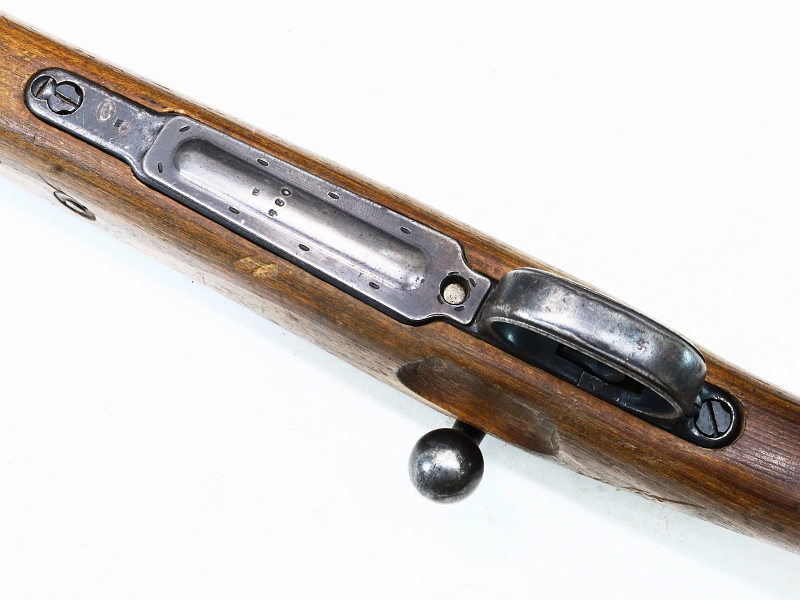 Laminated late war stock, correct dot marked stock and hand guard, Heers marked on the right side. 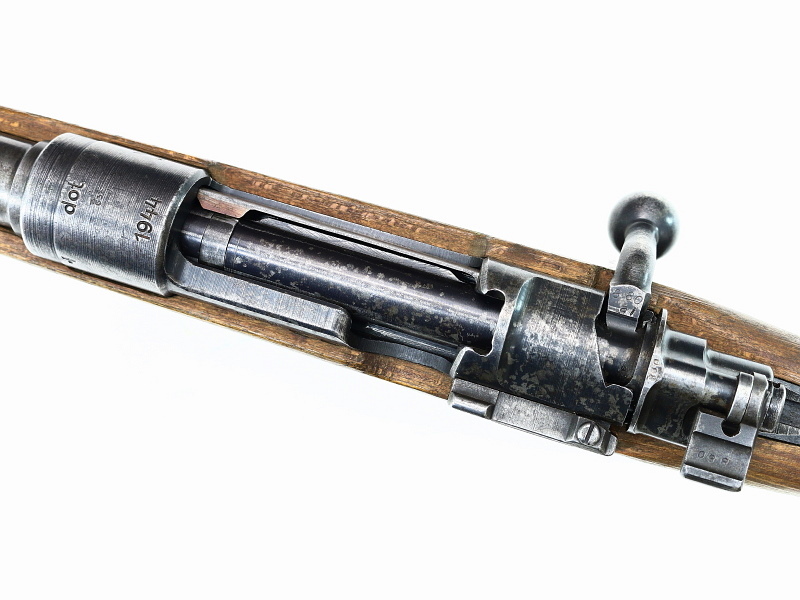 Chambered in 8mm Mauser the bore is brite with very good rifling, smooth lands and grooves. 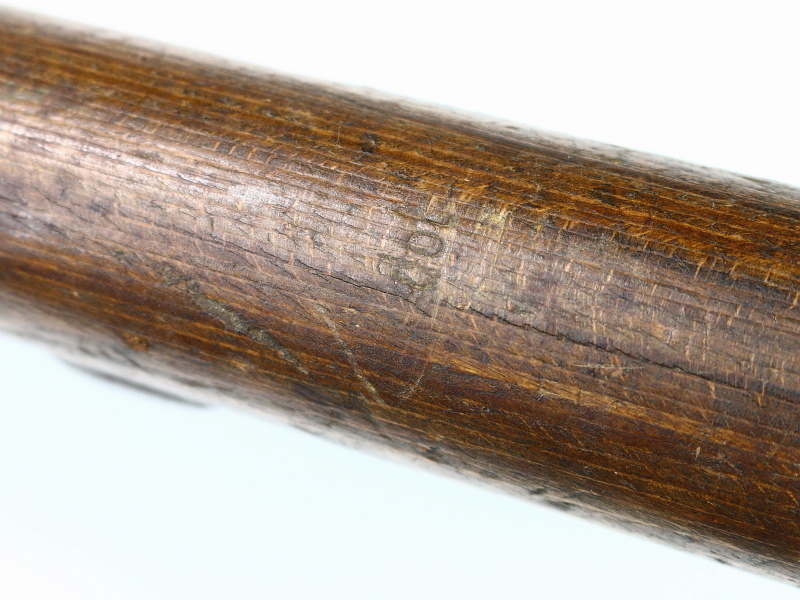 Not import marked.